For questions, information and bookings you can call, mail or visit us. 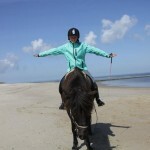 Stal Edda is located at the eastern tip of Vlieland near the marina. You can reach us by phone between 9AM and 5PM.